Speaking of the United States and in summary, there are three kinds of property. They are real property (or real estate), personal property, and intellectual property. Real property concerns rights to land and improvements made thereupon, such as buildings and landscaping. Basically, personal property is rights to physical objects and tangible things that are not real property. Finally, intellectual property concerns the products of the intellect, that is rights to things that are the creation of a person's mind. Intellectual property ordinarily concerns three kinds of property. These are copyrights, trademarks and patents. Some people also consider something called trade secrets to fall within the class of intellectual property, also described below. Copyrights, generally speaking, are rights given by the government to prohibit others from copying creative works, whether those works are in a written, visual, sculptured or other form. The key with copyrights is that these attach to works that have some aspect of "creativity". For example, the output of a security camera typically has no creativity associated with it, while a motion picture will have a large creative input. Copyrights sometimes do not prohibit copying absolutely, but sometimes may permit copying if a set royalty is paid. Copyrights are sometimes limited in that the works they protect can be used in a critical or satirical way without the permission of the owner. Trademarks are ordinarily marks that identify the source or producer of a product. Servicemarks are similar, identifying the provider of a service. There is also something called "trade dress", which uses the non-functional look of a product or its packaging as a trademark, for example by using a particular set of colors. Most of the time people lump these concepts together under the term "trademark" for simplicity, sometimes with rights to a domain name on the Internet. The strongest rights to a trademark arise from the exclusive use of the trademark in the marketplace, although limited but important rights can be acquired through the registration of a trademark. Those rights prohibit a non-owner (such as a competitor) from using a trademark in a non-referential way without the permission of the owner. Patents are right given by the government to prevent others from making, selling or importing a particular product or practicing a particular method. 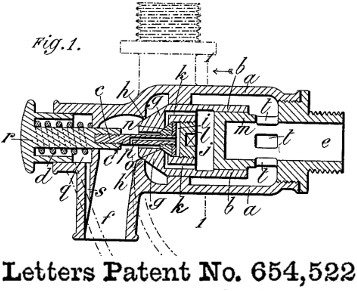 Patents come in three kinds: utility patents, design patents and plant patents. Utility patents are directed to functional aspects of a product or method, design patents protect an ornamental design of a product and plant patents are for protecting asexually reproduced plant varieties. Most of the time when people refer to patents, they are speaking of utility patents. To obtain a patent, an inventor must disclose how to make and use his invention to the public. The invention must be new and be non-obvious (or have an "inventive step"). In return, he receives a patent grant from the government for a limited period of time, which can be as much as about 20 years in the U.S.
Trade secrets are not truly property per se: these are contractual rights that prohibit a person (usually an employee) from revealing a valuable secret. These often concern the specific details of how a process works best, or what the ingredients are of a particular product (e.g. the "special sauce"), where the owner does not wish the secret to be revealed to the public. As real property can be transferred and personal property can be sold, rights to intellectual property can usually be assigned (with certain restrictions upon trademarks). Intellectual property can also be licensed to others to use, which is conceptually like leasing a piece of real property to a tenant. As far as competitive value is concerned, patents are usually considered to be the most powerful of these types. Copyrights, trademarks and trade secrets will not prevent another from competing with the owner of such intellectual property, if that other person or entity chooses to put in enough effort. Similar works to copyrighted works can be created, so long as these are developed independently and without a creative step. A competitor can originate his own distinct trademarks. A competitor can root out the content of a trade secret by independent investigative methods, so long as the obligations of those holding that trade secret are not infringed. Copyrights, trademarks and trade secrets can last for decades, and that is perhaps their principal advantage. The advantage of patents is that they come with the power to prevent all persons and entities from selling, making and importing a patented product or practicing a patented method, regardless of whether those persons have used their own independent creativity or not. Having a patent issued to you is like the government posing "no trespassing" signs around the work of your inventive efforts, again in exchange for disclosing that invention to the public. And that is a quick-and-dirty look at intellectual property.